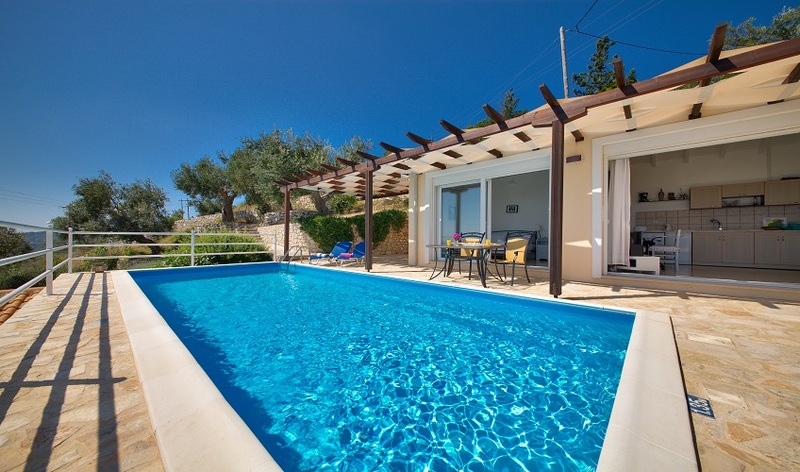 We realise that not everyone who comes to Paxos requires a bigger property, but finding smaller villas to suit a couple or small family often means that the swimming pools are shared – until now. 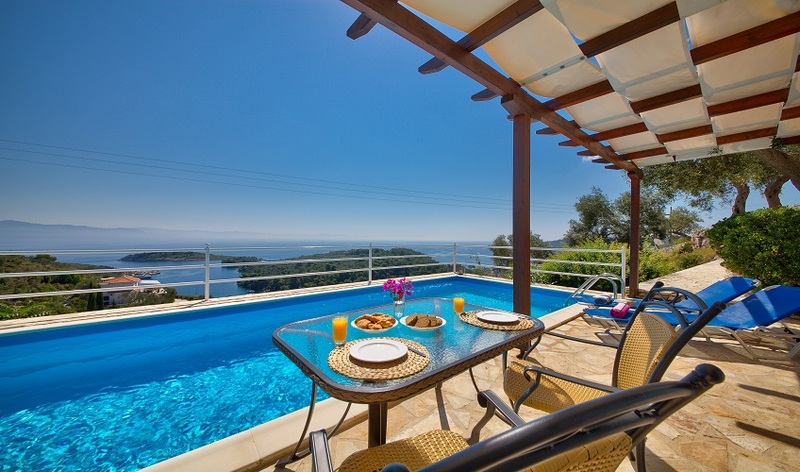 Villa Fegari enjoys an outstanding position overlooking the harbour village of Gaios and the picturesque wooded island of Agios Nikolaos, is perfectly proportioned for that intimate holiday for two but also has a private pool that would grace much larger houses. The villa has a shaded verandah and patio on three sides for contemplating that view on a hot and lazy afternoon. 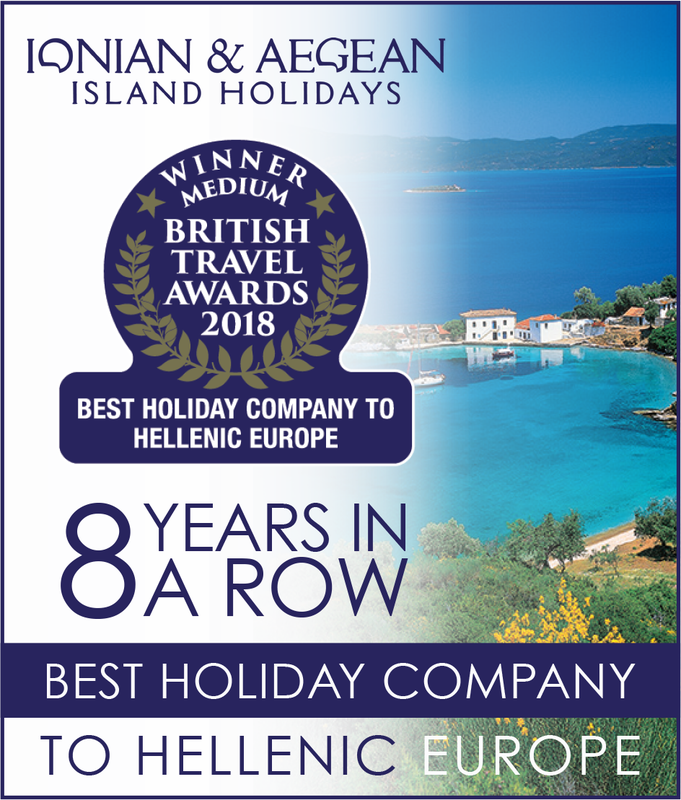 A short stroll leads to Gaios, which, as befits a capital and the island’s main port has an understated cosmopolitan atmosphere that sits comfortably with its traditional shops and tavernas lining the waterfront. 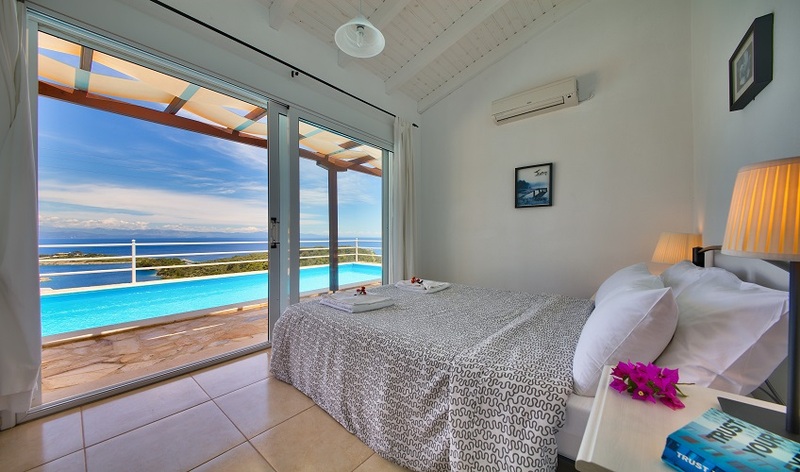 As a base for further exploration of this fascinating island or for beach hopping, this villa couldn’t be better situated. 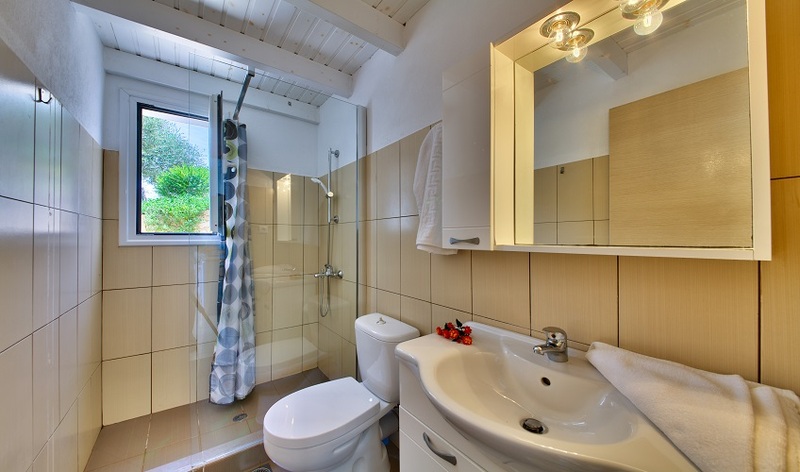 Inside everything has been carefully designed for comfort and relaxation. Both the open plan living room and double bedroom open out onto the spacious verandah. 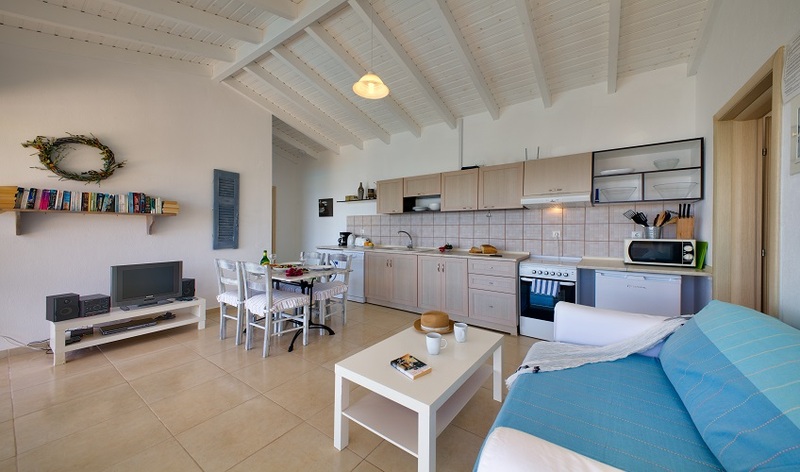 Villa Fegari has an additional single bedroom. 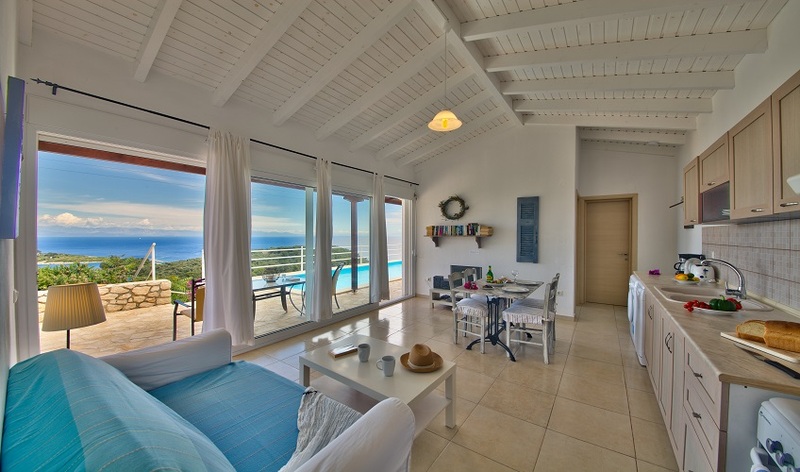 Many return to Paxos as much for the island’s friendly and intimate atmosphere as for its undeniably beautiful interior and coastline and this small villa reflects those unique characteristics. 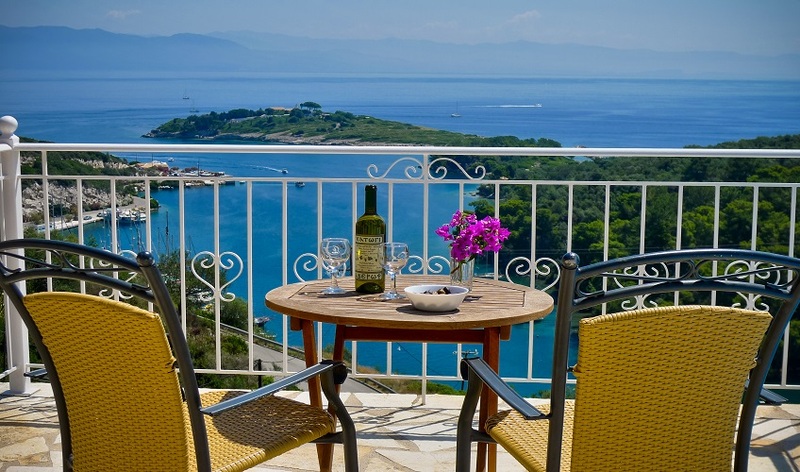 Villa Fegari is very popular with guests who want to walk into Gaios and enjoy the cafes and eateries the capital has to offer. 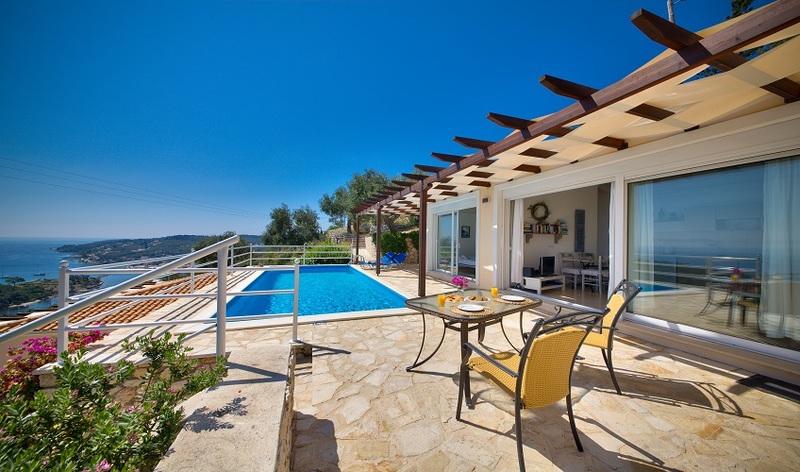 NB: These villas are on a staggered incline with Villa Fegari at the top, Helios in the middle and Asteri below. 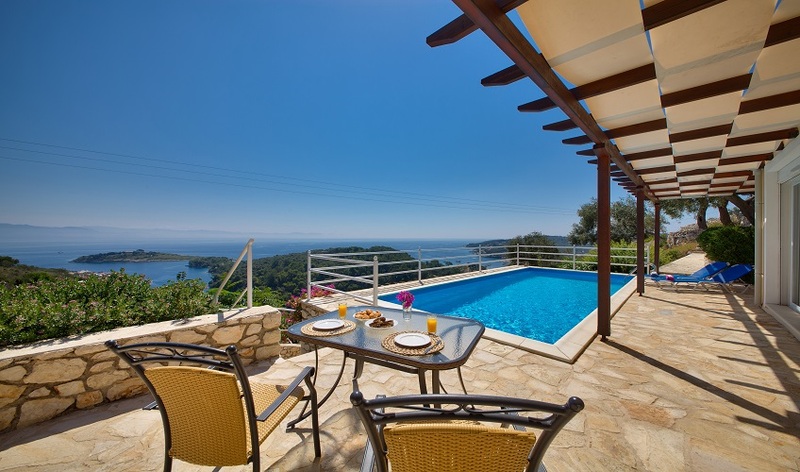 The villas are reached by a steep driveway with a number of steps up to Helios and Fegari and may not be suitable for people with walking difficulties.